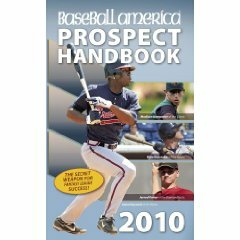 John Manuel of Baseball America reports former UofL right-handed pitcher Trystan Magnuson was selected to the Team Canada roster for the 2010 Pan Am Qualifier in San Juan. Former Lexington Legend first baseman Jimmy Van Ostrand was also selected to the roster. Former UK catcher Marcus Nidiffer was 0-3, but Tri-City clinched the New York-Penn League championship with a 5-1 win over Brooklyn. Over the weekend, LCA alum Robbie Ross took the loss after surrendering seven runs in three innings for AA Frisco as the team was eliminated from the Texas League playoffs. Larry Stone of The Seattle Times reports former Mariners director of pro scouting Carmen Fusco was fire at least in part for his role in the controversial acquisition of former NKU right-handed pitcher Josh Lueke. The Mariners’ upper management claim they didn’t know of Lueke’s past legal trouble before acquiring the reliever. The Houston Astros acquired Louisville Bats right-handed pitcher Enerio Del Rosario from the Cincinnati Reds for cash. Del Rosario was designated for assignment by the Reds Monday. Yonder Alonso struggled during the first two months of his AAA career, but he put those struggles behind him in July to the tune of a .366 batting average, nine home runs, 19 RBI and 15 runs scored. Alonso slugged .696 for the month with an OPS of 1.007. The Cincinnati Reds have an embarrassment of starting pitching depth at the moment with Matt Maloney representing their best AAA starter at the moment. In July, Maloney was 3-1 with a 1.00 ERA in four starts. Maloney struck out 17 and walked just three in 27 innings pitched. flgator69: Is Winter Ball or an extended Spring Training available for some of our hitters’ improvement? Miller: Instructional League starts next week and Winter Ball and the Arizona Fall League in October. Most of our better young players will be in one or more of those leagues getting more at-bats or innings under their belts. redstockings54: My question is with the number of good outfielders we currently have, are there any plans to trade any of them. And if so, what is the plan? Miller: All of these guys are young and most of them still have options to the Minors left, so we like our depth. If something comes along that will better our team or fill another need, we will always consider it. ChangeUp: Jonny Gomes seems to really enjoy being a Red and is really showing he can come through in clutch situations. Would you say there is a good chance he will be a Red next season? Miller: I hope so. He’s had a good year. Hopefully we can come to an agreement that makes both sides happy. batsfan09: Enerio Del Rosario has had a great season as a relief pitcher in the Minor Leagues. Do you think he could be a part of next year’s bullpen? Could he possibly be a starter next year with Louisville, as he has been in previous years? Miller: I think Del Rosario and Logan Ondrusek will both be knocking on the door to pitch in the Majors next year. Both of them had outstanding seasons. 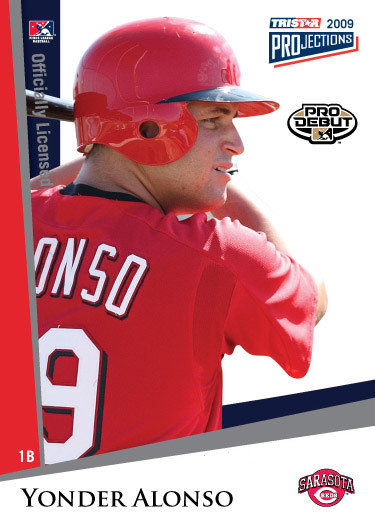 punksroo: Which Minor League prospects are we likely to see this Spring? Miller: Travis Wood, Del Rosario, Ondrusek, Yonder Alonso, Todd Frazier, Zack Cozart, Chris Valaika, Chris Heisey, etc. lbentz11: I know it’s a bit premature, without writing off Matt Maloney, what are your thoughts on getting at least one left-handed starter for next season? Miller: I think both Wood and Maloney will be good Major League pitchers. Give them some time.